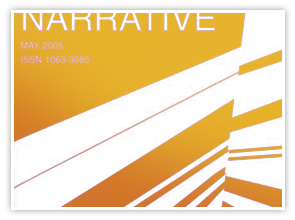 "Narrative" for us is a category that may include the novel, epic poetry, history, biography, autobiography, film, the graphic arts, journalism, music, performance, legal writing, medical case histories, and more. The Society sponsors the International Conference on Narrative each year. The first conference was held at Ohio State University in 1986, and in subsequent years, the meeting has been held at sites across the United States, Canada, and Europe. At each conference, approximately 350 speakers address issues of narrative from a variety of positions and perspectives.